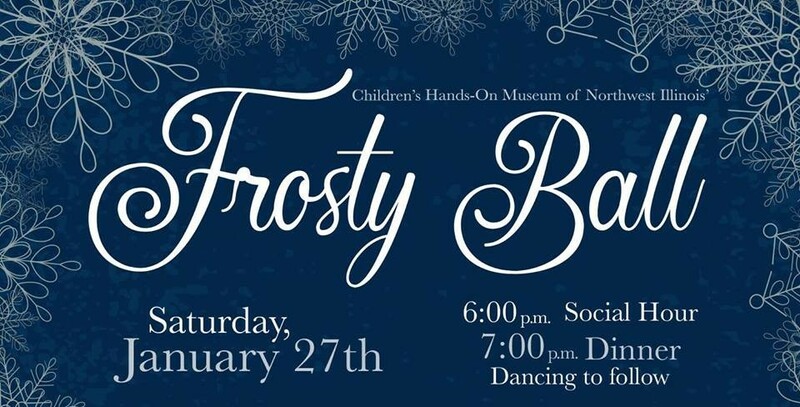 Children’s Hands-On Museum of NW Illinois is hosting its Second Annual Frosty Ball at Grand River Hall on January 26, 2019. Gathering hour for this formal event is 6:00 p.m., with dinner at 7:00 followed by music and dancing. The dessert bar is not to be missed. A silent auction of a wide variety of items and tickets will be held to benefit CHOM. Hilldale Deli of Freeport is catering the plated meal, and the band Blind Bogey will provide a wide variety of music. Tickets are $55 per person and available from any board member or at eventbrite.com online.